The Graves-Cleary Team has represented more sellers and buyers in the Ramsey Golf and Country Club then any real estate entity. With over 360 transactions in 25 years we are the best real estate team to represent your interest when buying or selling in the Ramsey Golf and Country Club. Call us today to find out why it is important to choose The Graves-Cleary Team. The Ramsey Golf & Country Club, located in Ramsey NJ is comprised of 550 homes and boasts amenities such as an 18-hole private golf course, paddle tennis, a pool, private lake and a clubhouse home to 2 restaurants, a bustling bar and a ballroom big enough to host parties of more than 200 guests. With club membership, comes the opportunity to join golf,paddle tennis and/or the pool. The golf programs offer something for every household: the most reasonably-priced packages for family, individuals, weekday only and junior in probably the entire Tri-State area. Unlimited golf on a private, 18-hole course in the middle of the neighborhood while being only 40 minutes from Manhattan is truly unique. 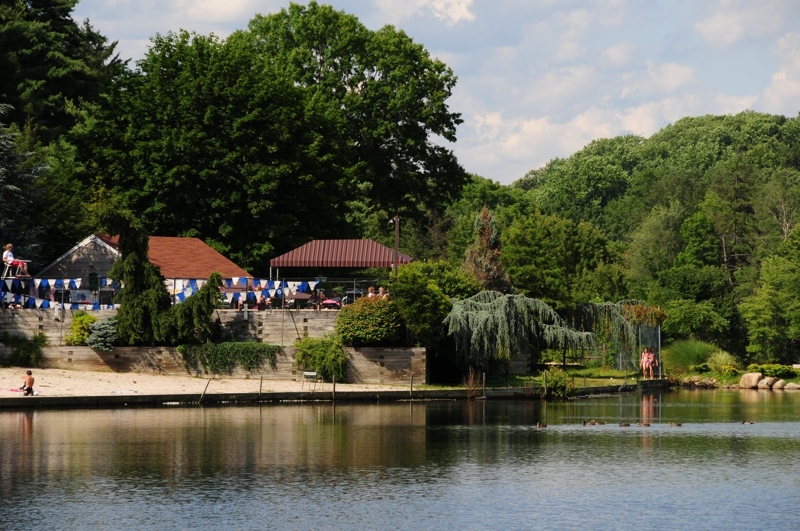 The pool is situated on Mirror Lake and has a competitive swim team for children. The Paddle Tennis program is wildly popular both from a social and competitive standpoint for players at all levels. The Ramsey Golf and Country Club also offers a wide range of social activities encouraging camaraderie. Recent parties like Lobsterfest, Sounds of Summer on the golf course, St. Patrick’s Day and 70s/80s have drawn up to 200 members and their friends at each event . The Club hosts free events for the children like the Holiday Party (Santa arrives on a golf cart! ), Spring party (egg hunt and petting zoo!) and Halloween (complete with costume parade!). Movie Nights, cooking decorating with the Chef and End of School year Ice Cream Social are also offered. From the luminaries spectacular on Christmas Eve where every street in the club is lit with candles to gathering to watch the 4th of July fireworks on the 12th fairway, there’s always an example of this community camaraderie. Winter days draw the kids to the 14th fairway to sled. Ramsey Country Club & Golf summers are busy with the tiki bar/DJ on the beach on Friday nights, swim team meets, canoeing, kayaking and fishing on the private lake, BBQs on the patio, golf tournaments, and the very popular Junior golf program. If you would like to learn more about the Ramsey Golf & Country Club in Ramsey New Jersey or homes for sale in Ramsey NJ or any other towns in northwest Bergen County, please contact us at kristingraves@remax.net or call 201-825-6600 ext 222. Updated:25th April, 2019 5:55 AM.